These General Terms and conditions of sale (hereinafter “Terms and Conditions”) govern the relationship between the Customer (hereinafter “Customer”) and AB (hereinafter collectively referred to as the “Parties”) for the purchase of products marked ART BACKERS ™ (hereinafter, “Products”) which, for this purpose, will be available time by time in the Website at www.artbackers.com. The term Customer means exclusively the consumer, that is a person who buys goods for purposes unrelated to the business activity and/or professional activity if carried out and/or who doesn’t effectively sell the goods to third parties. The Products on sale in the Website are available to Customers who must be at least 18 (eighteen) years old, from all over the world, as well as specifically described in article 15 of these Terms and Conditions. There are no exclusions or limits on geographical coverage of the commercial offer, as well as the free services made available to Customers from AB directly or through the Website. At any time AB reserves the right to communicate and advise Customers in the Website, about some limitations or exclusions, whether they are temporary and / or permanent for reasons of force majeure. The available languages for the conclusion of the Contract and for all communications related to it are English and Italian. Before placing the purchase order and before the conclusion of the Contract, the Customer is required to read carefully the Terms and Conditions which have been made available in the Website — and described below — in order to allow the Client to store and reproduce pursuant to article 12 of the Italian Legislative Decree of 9th April 2003 no.70. The text of the Terms and Conditions is also available in the Website at the page “General terms and conditions of sales” in each product sheet of the online catalogue and still sent by AB to the Customer, by e-mail for every purchase, in accordance with paragraph 7.5 of these Terms and Conditions. By placing the order and the conclusion of the Contract, the Customer accepts the Terms and Conditions specified and explained below. The personal data provided by the Customer during the purchase process will be temporarily held by AB in its own servers until the conclusion of the Contract, in any case not longer than the commercial and/or sales activity requests. These personal data will be managed as part of the economic activities by AB, in according with the limits set by the legal and ethical Italian and International law. The Customer can register his personal data during the phase of finalization of Product(s) purchase. In this specific case, the personal data provided by the Customer will be retained by AB into its own servers in order to facilitate following purchases and the conclusion of the contract and will be processed esclusively in order to ensure to the Customer a better service and/or the access to services or to Products specifically dedicated to Registered Customers. This informations will be the exclusive domain for AB and for its affiliates or subsidiaries Companies, or its commercial and production partners only in order to the Contract. The personal data informations will be managed as a part of economic and promotional activities of its own brand ART BACKERS™, in according to the limits set by the legal and ethical Italian and International law. In relation to the above mentioned paragraph 2.2, AB will be stored only the Customer’s personal data relating to: name, surname, date of birth, city of residence, full address, state, zip code, place of destination of the Products, place and full billing address and e-mail(s). This informations will be kept in the Website always and only with the online consent of the Customer. At any time the Customer may modify or delete his personal data relating to commercial activities and Products purchasing, entering in the Website in his reserved area called “LOGIN”, typing his e-mail address and password, and acting on “edit” or “delete”. The personal data deleted by the Customer will be immediately and automatically removed from the server of AB and its subsidiaries, affiliates or business partners. All our products are original prints signed and numbered by the artist. They are handmade printed on delicate art paper, and are shipped in sealed tubes. It is important to have clean hands when opening the tubes. We attempt to describe our products as accurately as possible. However, we do not warrant that product descriptions or other content of the website are 100% accurate or error-free. If a product offered by us and purchased by you is not as described, your sole remedy is to return it. The Limited Edition marked ART BACKERS ™ are almost completely handmade silkscreen, or other technique of print . For this reason, some minor imperfections or differences, which are essential features of the handmade manufacturing production, could be possible. Moreover, some materials used for the Products production, as well as highlighted in the Website, can be tooled, painted, brushed, cut or sewn manually, thereby presenting slight manufacture differences in the same pair. The product of AB are handmade creation and for that unique and exclusive, eventually variations of colors is to be considered the carateristic of this particular work. It’s possible to AB sale on site other product, with same quality, but with different garancy about a producer. Products characteristics are described in the Website, in every Product sheet of the catalog in the E-commerce online. In these sheets the name and the code of the Product, the type, the classification, the size and/or sizes, the materials used and the main technical characteristics are shown. Each Product is accompanied by descriptive and explanatory images of the Product and, in some cases, and if necessary, of some parts of it, and also by any other information which can be identified it unequivocally. The quality of the images and the colours of the Products, sold through the Website, must be considered indicative only, as they are connected to, and are dependent upon, a number of variables (such as, without limitation, the Internet browser and monitor used by the Customer as well as the light conditions of the room in which the monitor is located etc.) which aren’t beyond AB’s control and can not be elements for Product returns.Art. Prices and essential details of the Products are stated in the offer relating to each individual Product in the Website and contained in the sheet of the Product itself. The Products prices are indicated in the Website in € (Euro) and are inclusive of all applicable taxes and changes, with the exception of the rights and/or duties, when applicable and specifically mentioned in the Website. All additional costs for delivery and shipping will be taken on by the Customer, and will be indicated at the time of the purchase added to the price of the Product, unless expressly provided otherwise. The Customer, at the moment of order confirmation, will have to indicate the country of destination, to display the correct contribution to the shipping and, as a result, the total price of the Product purchase. AB checks constantly that all the prices of the Products listed in the Website are correct. However, it cannot guarantee the absence of errors. In case of an error in a Product price, AB will allow the Customer to reconfirm the purchase of the Product(s) at the correct price or to cancel or, if necessary, to terminate the Purchase Agreement, with the refund of the total price paid from AB, according to the rules contained in paragraphs 10.1, 10.2, 10.3, 10.4, 10.5, 10.6. Any kind of discount are not feasible nor practiced on all Products of ART BACKERS ™ collections, owned by AB. AB aims to provide to its Customers constantly updated information in the Website. However, it’s impossible to guarantee that the Website is completely free of errors. The Website may contain typing mistakes, inaccuracies and/or omissions, some of which may relate to pricing (as described in paragraph 4.2) and/or the availability of the Product(s) and/or to the Product(s) sheet itself. AB reserves the right to correct errors, inaccuracies or omissions including after an order has been sent (with the exception of what is described in the previous paragraph 4.2) and also reserves the right to change or update informations at any time without prior notice. AB reserves the right at any time to make changes to the presentations of Products, move them inside the collections, delete them from the catalogue or replace them with other Products without notice. The made changes won’t change any orders in progress, previous to the date of change of the Products in question. The Customer can buy a maximum of two piece for each Product (as a single item or code). The transaction will be charged to the credit card of the Customer only after the credit card data have been verified, and after the debit authorization given by the Issuer of the credit card used by the Customer. No charges will be made at the time of order. At any time during the purchase transaction, the Customer will be able to correct errors in data entry. In this case, he will have to follow the proper procedure for amendment contained in the Website before submitting the purchase order. In particular, the Customer has the right to modify the quantity and type of Products he wants to buy, deleting or adding one or more Products in “CART”, before buying definitively, and to choose the option “PROCEED TO CHECKOUT”. The Customer will be able to delete his order or a part of it, even after selecting the option “PROCEED TO PAYPAL” and after doing the payment, sending a communication, not later than 24 hour from the date of purchase at: artshop@artbackers.com. The contract between the Parties must be considered concluded when the order submitted by the Customer arrives to the Website in accordance with the procedure described in the previous paragraph 6.4 (and as indicated in the Website) and once obtained the authorization charge by the credit card Issuer used by the Customer for payment. The order submitted by the Customer will be binding for AB only if the entire purchase procedure has been duly and correctly completed, without any eventual errors by the Site. AB’s Website is not liable for malfunctions dependent on the network operator transmission of data or the hardware and/or software of the Customer. The online order form will be stored in the Website database for the time necessary to process the orders. After purchase, the Customer will be able to decide if register his personal data — with the exception of informations and details about his credit card, the Issuer and the Bank name — to simplify subsequent purchases, entering only in the window named “PASSWORD” a password of imagination. These personal data will be managed and maintained by AB in strict confidence and in accordance with the Customer at the time of registration, and will be used exclusively for business purposes for new purchase orders, as well as to provide the Customer free and reserved services in additional and/or tools. These informations may also be used to send Customers informations about new Products, collections preview or news concerning the brand ART BACKERS ™ or other brand associates, shared, controlled or owned by AB, as expressly also described in the Website at the time of registration. The conclusion of the first contract of purchase and the registration by a Customer of his personal data (as described in paragraph 7.6), entitles the Customer to access purchase the Products from the collection “PRIVATE COLLECTION”. By registering, AB will periodically send to the Customer a preview presentation of “PRIVATE COLLECTION” Products, in advance of the publication of the same on-line in the Website, and contained the characteristics of the collection, images, prices and characteristics of the individual Products. The Registered Customer will be able to buy the Products of “PRIVATE COLLECTION”, whose the procedure to purchase is the same used for the Products of the other collections, previously described. AB undertakes itself to carry out the Products order no later than thirty (30) days from the time in which the Customer has sent the purchase order. With the exception of the case of the purchase of special Products, whose timing of delivery are agreed and declared from time to time in the Website and can be different depending on Products type, anyway not more than forty-five (45) days from the one in which the Customer has sent the purchase order. The Customer will be notified by AB through communications by email about the happened execution of the contract and the deliver of the Product itself. The Customer will also be notified if it is impossible to observe the period of the contract execution on time, all or part of the purchase order, with the precise specification of Product or Products which are not carried out and any new terms of execution time of the Contract, in this particular case by giving Customer the opportunity to withdraw from the contract without penalty and with the repayment of the amount already paid by him, including, solely for this specific case, the amount (s) for the shipping (s). If AB is unable to execute the order, due to sudden unavailability, also temporary, of the Products, the Customer will be informed with a a prompt information by e-mail, and in any event no later than thirty (30) days from the date of executed purchase in the Website. In this case, the amount already paid by the Customer will be fully reimbursed by AB no later than thirty (30) days of notification to the Customer, by crediting his credit card, including, only for this specific case, the amount (s) for the shipping (s). AB will refrain from performing contracts for Products which won’t be ordered or purchased in the Website. It will refrain also from the execution of contracts for all the subjects mentioned in article 15. The Products purchased in the Website will be sent to the address indicated in the order form as a recipient (“ADDRESS”). At the time of delivery the signature of an adult at least 18 years of age (eighteen) years of age will be required. Deliveries can not be made to P.O. Boxes or hold at depot and the order will not be processed. Delivery costs are payable by the Customer and are clearly indicated in the order form in the Website. Also possibile customs charges or taxes according to the legislature of the country of the Customer are taken on by the Customer. The Customer is obliged to inquire preventively from the competent authority; AB is not liable in case of misinformation from the Customer and / or stationary goods at the customs authority and, in this case, it won’t refund either purchase or costs incurred by the Customer for the dispatch and customs clearance, or other additional expenses incurred by him. All purchases will be delivered by courier, as indicated for each purchase in the Website (hereinafter, “Courier”). The Customer will be informed by e-mail in the same day of dispatch and the estimated date of delivery and the tracking number (tracking number) will be indicated to him. Orders will be processed and delivered from Monday to Friday, excluding official holiday and national holiday, informing the Customer about the status of delivery. AB is not responsible for unpredictable delays, as in the case of adverse weather and/or environmental conditions, strikes, demonstrations, serious damage to the structures of AB manufacturers or stores or destruction of Products because of the events mentioned above, provided that , except in such cases and cases of force majeure, the Products will be given in loading for delivery to the Courier within a maximum of thirty (15) days from the day following that on which the Product (s) has been ordered by the Customer. Products will be sent to the Customer directly from the manufacturing partners of AB – and their production sites – on behalf of AB or directly – their stores – from the latter. In the case of purchases of several types of Products, as stated in the Website, and at the time of conclusion of the Contract, the Customer will receive more shipments. The Customer may receive several shipments even if such Products had production time as diverse as, for example, for the purchase of multiple Products of the same type. It is not possible in any case, for the Customer, to require unique or cumulative shipments of Products. that the packaging is not damaged, or wet or otherwise altered, open or partially open or severely damaged in its sealing materials. Any damage to the packaging and / or to the Product, or the mismatch in the number of items or information should be immediately reported to the Courier by putting a reserve in writing on delivery of Courier. Once signed the Courier’s transportation document, the Customer may not oppose objection on the external characteristic of the delivered. The Customer will not make any objection about the Product delivered to him, even if the goods have been withdrawn or taken over by his agent, who signed his name, or a visa on the transportation documents (DDT) of the Courier, in any case, when the appointee approves and take on the delivery or collect the goods from the Courier on behalf of the Customer. Customers may have more information about it in the Website in the section Right of Withdrawal or even in advance by contacting the AB Customer Office at the e-mail: artshop@artbackers.com. AB will sent to the Customer a communication by e-mail at the time of Products shipment. AB intends to ensure the complete satisfaction of the Customer, enabling him to return the Product with the exception of the cases specified in paragraph 10.3, no later than ten (14) workdays (pursuant to Article UE 2011/83/C) from the date of receipt of the order and refunding the full cost, excluding shipping costs, including those for the return of the Product itself, which remain taken on to the Customer. AB reserves the right to refuse the return of the Products in the cases set out in paragraph 10.3. The Customer will be able to delete the submitted order no later than forty-eight (24) hours from the time of purchase in the Website, using the link “CANCEL ORDER” in the e-mail sent by AB after purchase, or by sending a notice by e-mail quoting the order number and the Product (s) for which he asks the cancellation, at artshop@artbackers.com. AB will do everything possible to meet the Customer’s request. The orders of already shipped Product won’t be deleted, nor be reimbursed, as described in paragraph 10.3 of the “Terms and Conditions”. If the Product would be ordered by mistake and not canceled by forty-eight (48) hours from the time of purchase, and / or already sent and in the process of delivery by the Courier, and / or in the case in which the Product was purchased without the permission of the recipient, and this fact has not been notified in time by the Customer (the Customer resulting) or recipient to AB. In some specific cases AB reserves the right to assess, at its own discretion, whether to accede to the request made by the Customer. The Customer will send email at artshop@artbackers.com with object: “RETURN” with number of order, the import and eventually reason why. The Customer will have to print the communication sent by AB, pack the Product in its original shipping packaging (if intact) or otherwise, ensuring that the Product is thoroughly protected, then the dispatch of the same at his own expense by Courier to the address reported in the notice. If the Product will be eligible to return AB will undertake to refund the entire amount paid at the time of purchase to the Customer, excluding shipping costs, which are taken on by the Customer, by crediting that amount in the credit card within ten (10) working days from the notification of eligibility sent to the Customer, in any case not later than thirty (30) working days. No coupon for the purchase of another Product (s) will be issued by AB in the case of return of the purchased Product (s), nor the returned Product will be replaced. The shipping costs for the return of the Products will be taken on by the Customer; any cost borne by the Customer for the return is not refundable. The Customer is obliged to return the Product using an express courier. AB will not be liable for refunds or compensation for returned, damaged, lost or stolen in transit Products. For the evaluation of Products conformity, the description on the sheet of every single Product in the on-line catalogue of the E-commerce in the Website, and also the illustrative material with photo or video, the descriptions of the methods of production or materials production and all the other on-line descriptions in the Website refered to the single Product attests it. By purchasing, the Customer agrees with all of the technical / stylistic characteristics of the Product and of the materials that compose it. The Customer is required to keep all documentation related to the purchase of the Product, until the conclusion of the Contract, in order to the Right of Withdrawal (Right of Withdrawal) of the Product (s). AB guarantees the authenticity of all its purchased Products in the Website. Original Products are marked ART BACKERS ™; they and are made with quality materials carefully selected, and are exclusively handmade in Italy by our factory, or partner companies AB. All original Products also include the words “ART BACKERS ORIGANL LIMITED EDITION™” and embossed trademark whose rights of use and exploitation are the Property of AB. The original products marked ART BACKERS™ are sold exclusively online through the Site and through business partners sites of AB, expressly mentioned in the Site. All intellectual property rights such as trademarks, service marks, trademarks and copyrights are of exclusive property of AB. No page or other content of this Site may be reproduced without previous ad express written consent of AB. Each product contains a “EMBOSSED AB MARK” attesting to the auditing of quality and conformity of the Product with the same features found in the catalogue on-line E-commerce in the Website, and contains a COA Certificate of Authenticity with photo and description of piece of art. Website, the Product (s) is accompanied by the quality and environmental certification of used materials and of the production processes and/or manifacturing on their declaration and suppliers under their responsibility. AB guarantees the Customer that the Products are manufactured by adult people and it has carefully controlled working conditions, safety standards to the standard required by Italian Law, as well as the suitability of the employees of its manufacturing partners. The Customer has the right to return the Product, with the exception of the cases referred in paragraph 10.4 and in accordance with the procedure indicated in the Website and also given in paragraph 10.4 of the Terms and Conditions, without territorial restrictions, taking into account any authorization or customs permits the performance which will be taken on by the Customer, for the purposes of the Law of Garantee. For all informations regarding the pre-sale, sale, after-sales service, complaints and how to purchase on-line Products, please contact: artshop@artbackers.com. Complaints will be handled by AB within ten (10) working days of notification of eligibility sent to the Customer in any case not later than thirty (30) days, as more fully described in Section 10.4 of the return process of the Product. AB will not send to its Customers commercial communications unless specifically required by them, or otherwise without obtaining previous consent from the recipient. AB may also send notices to Customers regarding exclusively the changes and/or additions to the mode of purchase, the terms of the Terms and Conditions or otherwise relating to the Purchase Agreement or utility to the Customer, without notice or approval of the recipient, for the entire duration of the same Contract. The conditions of access to the Website are regulated by the Italian Law, and the Parties agree that they should be interpreted in accordance with Italian Law. Contracts with AB accessing the Website are governed by Italian Law and in particular by Legislative Decree 6 September 2005, n. 206 (Consumer Code) and Legislative Decree 9 April 2003 n. 70 of Italian Law (Implementation of European Community Directive n. 2000/31/EC on certain legal aspects of information society services in the internal market, with particular reference to e-commerce). It’s forbidden to resell the Products purchased in the Website www.artbackers.com from Customers or purchased in shops or from merchants, as the infringement of the Products or misuse and unauthorized trademarks “ART BACKERS ™”, owned by AB, is punished by Italian Law. The Customer accepts the non exclusive jurisdiction of the Italian courts. For any controversy arising from or in connection to the navigation or the use of the Website the Court of Cagliari, Italy, will be competent. Art. 15.0 – CUSTOMER PROTECTION. AB declines to collect personal information from children under eighteen years old (18), as well as from collecting orders for goods and/or services from those under age, without previous permission of an adult who has a relationship with the subject of first or second degree. Even more so in the case of persons unable of understanding or will. In the case of suspicious procedures or access to the Website or the online catalogue or E-Commerce in the Website, AB will be able to suspend at any time the procedure of purchase and/or shipment of the goods, informing the recipient Customer or who is presumed to be the recipient Customer and proceeding to detect the presence of the necessary conditions for the execution of the Contract and in accordance with these Terms and Conditions. In this case AB will be able to act as permitted by Italian Law to counter or report violations or fraud. AB declares under its responsibility to respect the principles of good faith and fairness in commercial transactions, with particular attention to the categories of vulnerable consumers. AB declares under its responsibility that all the information contained in the Website, in particular those relating to the Products and their characteristics, are true and not misleading or intended in any way to force the purchase of the Products. The use of the “www.artbackers.com” website (hereinafter the “Website”) is subordinated to the acceptance of the terms and conditions specified below (hereinafter the “Use Conditions”). The Art Backers Company asks the Website users (hereinafter the “Users” and, individually, the “User”) who do not intend to accept the following Use Conditions to refrain from using the Website and downloading any content or material from it. The Website is intended for Users who are “end consumers”, i.e. for those Users who buy goods for unrelated reasons to entrepreneurial and/or professional activity they may carry out and/or those who do not allow to resell these goods to third parties. The Website is aimed to promote the products commercialized by AB s.rl. Company, such as LIMITED EDITIONS, PRINTS EDITIONS, ARTIST EDITIONS, ARCHIVES, ART BACKERS (hereinafter the “Products”) and their sale in accordance with the General Sale Conditions (available at website www.artbackers.com) which must be strictly correlated with these website Use Conditions and entirely referred to herein. In consideration of the above, Art Backers shall not be liable for any damage that may be suffered by the Users who have used the Website for purposes other than the ones specified herein. The access to the Website from Countries in which the contents of the Website or the services offered therein are considered illegal or are banned in any way, is expressly forbidden. Those Users who use the Website from such Countries shall therefore be held liable for any damage in which they may incur as a consequence of such conduct. The language used in the Website is Italian and english, except the legal contents and General sale conditions which are available in english language as well, in the purchase procedure. The Website pages are owned by the Company Art Backers and, registered with the Companies’ Register of Cagliari, with headquarter and administration office in Cagliari, Via Carloforte 60, 09123 Cagliari CA, Italy (hereinafter “AB”) and are protected under the domestic and international laws (including Conventions) on copyright or license contract with artist rappresents. The contents of the Website pages shall not be copied, reproduced, transferred, uploaded, published or distributed in any way with any means, either in whole or in part, without the prior written consent of AB, without prejudice for the possibility for the User to store in its personal computer or to print extracts of the related web pages for personal use. The “ART BACKERS ™” trademarks (hereinafter the “Trademark”) and image are owned by AB. Any use of the Trademark and image of art, by the User is expressly forbidden, unless in case of express authorization from AB. The information contained in the Website are provided in good faith by AB, which considers them to be accurate at the basis of careful checks. Any typographical mistake or inaccuracies contained in the Website – in relation to which AB accepts no liability – shall be corrected as soon as reported by Users. About this matter, the Users acknowledge that the Website and the contents in it have been originally drawn up and arranged in the Italian language and so the different versions of such contents, present online in english language, are translations of the original Italian version. Therefore, even if these were arranged with ultimate care, such versions could not exactly correspond to the original Italian version, not being the mother tongue of AB. AB is entitled to update or amend the Website at any time and without any notice by replacing the pages or contents in it (including the Products), except as expressly provided for the General Sale Conditions. AB shall not be liable for the products offered or information provided by third parties through websites with which the Website has a connecting link and, therefore, AB shall not be responsible for, nor approves, either the contents provided by such third parties or the conditions which regulate such third parties’ websites. The User who visits a website linked to the Website is required to take any good sense solution for protecting its hardware or software against viruses or other damaging elements which may derive from the linked website and to read the conditions regulating its use. The quality of the images and the colours of the Products visualized and sold through the Website are to be considered indicative only, as they are connected to, and are dependent upon, a number of variables (such as, without limitation, the Internet browser and monitor used by the User as well as the light conditions of the room in which the monitor is located) which are beyond AB’s control. The computer systems and software procedures intended for the operation of the Website gather, during the course of ordinary operation, some data concerning the Users. The transmission of such data is implied by using the Internet communication protocols. Such data are not collected with the aim to be associated to specifically identified users; however, due to their nature, they may enable the User’s identification through processing operations and associations with data possessed by third parties. This category of data includes the IP addresses or the domain names of the computers used by the Users who connect to the Website, the URI (Uniform Resource Identifier) addresses of the requested resources, the time of query, the way used in submitting the query to the server, the size of the file as reply, the numerical code indicating the status of the reply given by the server (successful, failure, etc.) and other parameters related to the operating system and to the computing environment of the User. Such data shall be used by AB (or by third parties engaged by the latter or controlled by itself) with the unique aim to obtain anonymous and statistical information on the use of the Website and to verify its correct operation. Furthermore, the data may be used for the inquiry of liability in the case of any computer crime damaging the Website or AB. it rejects all the cookies automatically. It is reported that by disconnecting the cookies may could happen an incorrect view of some pages of the Website or of some contents in it (including the Products offered through it). Please note that, based on art. 7 of Italian Legislative Decree no. 196/2003, the Users are entitled at any time to ask AB to delete the information collected through cookies. AB shall strive to protect the Users – who use the Website in accordance with these Website Use Conditions – against the risk of viruses while visiting the Website. For the sake of clarity, it is specified that this paragraph is not applicable to the other websites linked to the Website (through links, banners or other connections), which, as said above, are beyond AB’s control. The Personal Data supplied by the Users through the Website (hereinafter the “Personal Data”) shall be used by AB exclusively for intentions strictly connected and related to its services and to the processing of the orders forwarded by Users in the E-shop pages. Such data may be transferred or disclosed within AB’s administrative and commercial organization or to its services suppliers, for activities strictly connected and instrumental to the purposes for which they have been collected (such as the operativeness of the Internet service, the management of the computer and telematic system and the management and processing of orders and shipments). this is necessary to fulfil requests on the part of judicial authorities or public security authorities. The Personal Data shall in any case be processed, kept and used by AB, which shall act as controller in accordance with the rules in force and in particular with Italian Legislative Decree no. 196/2003. In case of sale agreements of Products through the Website, also the estimates under art. 2, 2.1, 2.2, 2.3, 2.4 of the General Sale Conditions shall in any case apply. These Website Use Conditions are regulated by Italian law, except of the rules and regulations of the conflict. The judges of the Italian Republic shall have exclusive jurisdiction in relation to any dispute which may arise between the Users and AB with respect to, or in connection with, the use of the Website or the information and its contents. These General Sale Conditions may be amended or adjusted by AB. These shall become effective from the time of their publication on the Website. Users are therefore asked and they have to, to read, the General Sale Conditions applicable in any time. When you accept this TERMS, also you accept our PRIVACY and COOKIES policies. The Customer can register his personal data during the phase of finalization of Product(s) purchase. In this specific case, the personal data provided by the Customer will be retained by AB into its own servers in order to facilitate following purchases and the conclusion of the contract and will be processed esclusively in order to ensure to the Customer a better service and/or the access to services or to Products specifically dedicated to Registered Customers. This informations will be the exclusive domain for AB and for its affiliates or subsidiaries Companies, or its commercial and production partners only in order to the Contract. The personal data informations will be managed as a part of economic and promotional activities of its own brand ART BACKERS ™, in according to the limits set by the legal and ethical Italian and International law. In relation to the above mentioned paragraph 2, AB will be stored only the Customer’s personal data relating to: name, surname, date of birth, city of residence, full address, state, zip code, place of destination of the Products, place and full billing address and e-mail(s). This informations will be kept in the Website always and only with the online consent of the Customer. Art Backers is a technology platform (“Art Backers”) operating on the www.artbackers.com website (the “Website”), managed by Art Backers S.r.l., is a art publisher, produce and sell limited editions prints or pieces of art, for users of the technology platform (“User/s”) to be subsequently used in accordance with the terms and conditions published on the Website (hereinafter also referred to as the “Service”). In order to provide the Service, we collect some information relating to our Users. The collected information is those required to provide the Service and offer the User a customized experience. The person in charge of the personal data processing, as identified by Clause 4, undertakes to protect the Users data. This information comprises a description of the types of data that will be collected, the aims for which these data will be processed, the persons to which they may be communicated and it provides additional information useful to allow the Users to give their informed consent to their personal data processing. During the various steps o fuse of Art Backers, the following types described under Paragraphs 2.1, 2.2, 2.3 and 2.4 will be collected. In the registration process for the opening of an account on the basis of the general conditions published on the Website or simply by subscription to the Art Backers newsletter, data as your first and last name, an email address and additional information are requested for the sole purpose of managing the Advertisements; these are required to complete the Booking through the payment, as referred to in the Hosts and Guests General Conditions. The User is invited to refrain from communicating to Art Backers S.r.l. or to the other Users any confidential and secret information or strictly personal information or information which may in any manner cause harm or damage to itself of any third party; the User holds Art Backers S.r.l. and the person in charge of the data processing harmless from any liability in regard thereto. In particular, the User is invited to refrain from providing information relating to its economic situation, political or sexual orientations, health conditions, etc., unless this is expressly requested from the nature of the offered Service. When using the Service some information will be collected, such as: (i) data relating to your interaction with the Service (for instance, visualization of locations and their offers, recommendations; interactions with other Users, etc.) (ii) made research and publications; (iii) technical data (for instance coming URL; IP address and ID of your device; browser you are using, etc. ); (iv) information relating to cookies, as better specified under point 2.4 below; (v) information on your access location (only if you agree to the localization function). Furthermore, if you choose to link your Facebook and/or Twitter account, or other social network, you will enable us to collect also some information relating to these social networks, such as your credentials, name, email, gender and pictures of your profile, names and pictures of your friends profile, etc. We are entitled to collect automatically some aggregated anonymous data on the use of the Service, such as the number of Users, the rate of recurrence and the modalities of Art Backers use or the extent to which given functionalities are used. Furthermore, when using the Service, in order to provide some commercial and advertising suggestions, additional anonymous data may be collected by Art Backers, Google Analytics and/or by other providers of specific services of ours, such as, for instance, how many times you have visited an advertisement or one offer or one shop, etc. (in these cases no personal information, such as your name or contact details shall not be collected). In order to monitor and understand the traffic relating to our Website and the mobile application, cookies or similar technologies may be used. Cookies are alphanumeric identifiers that the Service transfers to your computer hard drive or in the mobile application. Cookies identify the computer hard drive or your mobile device so that the User may be recognized at every new access it makes, thus enabling us to provide it with a more customized experience. First-party cookies: These cookies are set by the website visited by the User and whose address appears on the URL window. Third-parties cookies: These cookies are set by a domain different from the one visited by the User. If one User visits a website and another company sends the information using that website, we have a third-parties cookie. Session cookies: These cookies are temporarily recorded and are erased when the User closes the surfing window. Persistent cookies: These cookies are recorded on the Users device between the browser sessions, thus allowing remembering the User preferences and actions on one website. These can be used for various aims, such as remembering the preferences and choices when using the Website. Essential cookies: These cookies are strictly required for the Website operation. Without using said cookies, some parts of the Website would not work. They include, for instance, the cookies allowing having access to the protected areas of the Website. These cookies do not collect information for marketing purposes and cannot be disabled. Functional cookies: These cookies are required to recognize one User visiting again the Website later. They allow customizing the contents and remembering preferences (for instance, the selected language or region). These cookies do not collect information which may identify the User. All collected information is anonymous. Shared cookies on social networks: These cookies help to share contents of the website through social networks as Facebook and Twitter. To review the respective privacy and cookies policies it is possible visiting the social websites networks. As to Facebook and Twitter, the User may visithttps://www.facebook.com/help/cookies and https://twitter.com/privacy. Most of the browser automatically accepts cookies, but the User can usually amend the settings to disable said function. It is possible blocking all types of cookies, or accepting to receive only some of them and disable some others. The section “Options” or “Preferences” of the browser menu permit to avoid to receive cookies and other user tracking technologies and how to obtain notice from the browser of these technologies activation. Alternatively, it is also possible consulting the section “Help” in the toolbars present in most of the browser. The Service manager may elect to close your Art Backers Account at any time. In case of closure of your account, for any reason, your personal data will be canceled upon simple request. (a) Your collected personal data may be processed to meet your request of services, communicate with you on your account, support your activities in relation to the Service and answer your questions. It will further be possible using your personal data and/or the information of your profile to customize your purchase experience and improve the Service offered. When using the Service, Art Backers shall identify you by your first and last name that you will communicate upon registration or through registration via the social network. (c) We will be entitled to use the localization in order to enable the geo and social functions when discovering the best Art Backers offers. It will be possible to disable the geo localization and localization of the User function from the settings menu of the mobile device or web applications if you are not willing to disclose your location or if you are not willing to share your location with Art Backers or with other Users located close to you or with other users of other social network. In this case, the Service will not be able to guarantee the complete and best functionalities offered through geo localization. Your data will be mainly processed by electronic or in any case automated tools. – Individuals, companies and professional firms performing assistance and consulting activities to the Data Controller in relation to Art Backers. Your personal data, collected within the scope of the Service, shall not be disclosed. The User personal data are transferred outside the European Union once adequate precautions are adopted pursuant to the applicable privacy law in order to guarantee their protection, security and confidentiality. By accepting this privacy information, the User gives its consent to the use and transfer of its data in compliance with the provisions of this Paragraph 6. Within the Service, Art Backers may use third parties services, as Google Maps and hardware components of your device, as Wi-Fi, GPS and the mobile network to determine your position, so to customize the Service experience for you and the other Users. If you do not want that your position is identified, you can disable the geo localization from the settings menu, both from the mobile application and from the Website. In these cases, however, you will not be able to use the Service functions designed around the localization services. Eventually, we may share aggregated statistical information and information on the Service Users profile with third parties, including our licensees, partners, advertisers and other persona offering goods or services connected to the Service. These data are not connected to any personal information allowing identifying the User. The Data Controller shall not share with any third parties any data allowing to identify the Art Backers Users, unless requested within legal actions (for instance, as reply to an order of a court of to reply to a writ of summons) or to prevent or fight frauds, as required by the law, or to have our general conditions complied with, or to protect the rights, the ownership or the security of the Service of our Users or other persons. Furthermore, the collected personal data may be communicated within a merger, acquisition or sale, in whole or in part, of our business. Art Backers does not deliberately collect any personal data of children aged under 13. To protect to the full your children privacy, we suggest you to monitor carefully that your children do not access and do not use our Service. Art Backers is entitled to amend this privacy information from time to time. The use of the information we collect is subject to the information in force at the time the information is used. If any material amendments occur in the manner we use the personal information, we shall inform you publishing a note on our Service or sending you an email. The use of the Service by the Users, following any amendment to the privacy, forms acceptance thereof. The e-mail is sent to you in compliance with the rules on privacy. Your address will not be sold to third parties but simply used for this contact will therefore not be stored by us saved it. Your address was taken from public lists and documents available to anyone and in accordance with Article 24 Legislative Decree 30 June 2003, n. 196 paragraph c) and d) Italian Law. If you do not wish to receive our newsletter or email click on REMOVE or send email at info@theabfactory.it with object “Unsubscribe“. 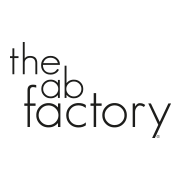 This website www.theabfactory.it (hereinafter, the “Website”) and the E-commerce in it, are operated and owned by the Company Art Backers™ with legal and administrative headquarters Cagliari, Sardinia (Italy), VAT and tax Italian code: IT03658740927 registered at the Chamber of Commerce of Cagliari, with headquarter in: Via Carloforte 60, 09123 Cagliari CA ITALY, and Factory: Via Leonardo Alagon 29, 09127 Cagliari CA, ITALY (hereinafter “AB”). This document is issued pursuant to articles 13 and 122 of Legislative Decree 196/2003 (Privacy Law), and the provisions of the general Regulations issued by the Privacy Guarantor on 8th May 2014, in order for the Data Controller, Art Backers s.r.l. to provide users of the website chiaraferragnicollection.com information about the cookies that are used. In the website chiaraferragnicollection.com other third party cookies are installed including profile cookies.